-Some believe that 12” tiles are too large to use on the walls in bath and shower areas. I respectfully disagree. If you simply stagger the tiles in a brick pattern and choose an option with some color variation, you can really create a charming space without breaking the bank. 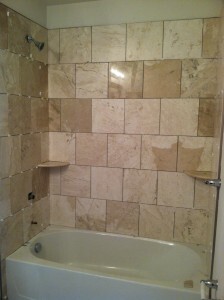 The three most beneficial reasons for using this size tile are cost, minimizing grout lines and increased selections. There are so many flavors in the 12×12 size option that you can really shop around if you are budget conscious. They are also incredibly easy to install. 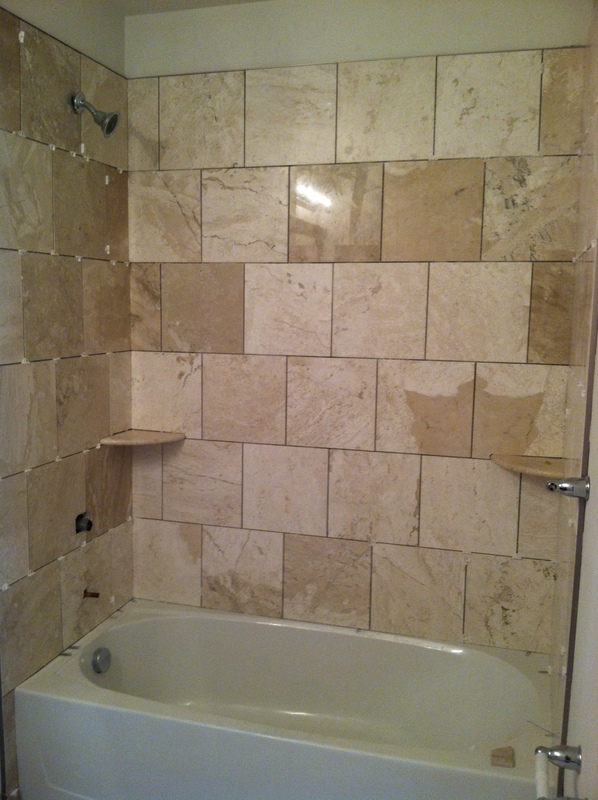 Your labor costs will be greatly reduced if you use the 12” tiles in a similar layout as shown. Naturally, you will have less grout lines in using a tile with a larger surface area and always remember to select something that is easy to maintain. Glass and mosaic tiles look great, but are a nightmare to keep clean. Depending on the bathroom in your home, maybe it is time for the less is more approach. Next Level Remodeling will be happy to show you more tile options and layouts available. Call today for your complementary consultation. We are the expert Home Improvement Contractor that you have been searching for.